We stand in a great and grand tradition that spans generations of students and faculty. Tonight we mark the beginning of the 195th academic year of Colgate University. An annual convocation to open the year was established in 1901 by President George E. Merrill, and by the 1940s it was called the Founders’ Day Convocation. In other words, this is a big deal! Guided by wise senior students, you have arrived to learn. Knowledge itself is portrayed as a source that can illuminate the path toward a well-lived life; and in less than four years, you will go out into the wider world as enlightened graduates. Tonight by your own march up the hill you have joined the Colgate tradition. You have come from east and west, north and south, from 41 states, the District of Columbia, and 22 countries to become part of Colgate. Why did you come here for college? Each of you has a reason only you know, and perhaps even you don’t fully understand how you found your to us. For every one of you, it’s safe to say, something about Colgate’s identity compelled you. I want to reflect with you tonight upon the question, What Colgate tradition have you, in fact, joined? Colgate is a place like no other, a community set apart on this hill with a noble educational purpose. It has powerful symbols and rituals. But those traditions are dynamic. The maroon that is our school color used to be maroon and orange. Maroon and orange? Thank goodness we have left that striking color combination to other schools, such as Virginia Tech. Earlier, our colors were blue and magenta, another interesting pairing. Maroon may not be flashy, but in this case it is evidence that traditions can show progress. Tradition is always contested. The philosopher Alisdair MacIntyre defines tradition as an ongoing argument, extended over time, precisely about the goods that make up that tradition. Today we might say tradition is a streaming dialogue, a threaded discussion. Institutions with a healthy sense of identity by no means provide simple, once-and-for-all solutions. Vitality and curiosity mark this kind of tradition. 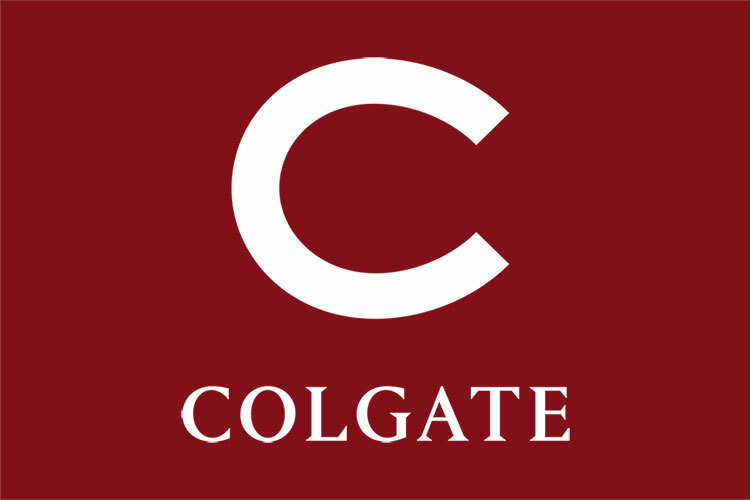 Colgate has embodied dynamism and ongoing argument within its identity since its beginning. Whether and how to move the seminary to Rochester. How large the student body should be. Whether, when, and how to admit women. What role Athletics should play on campus. How can Colgate become a place that welcomes and supports students of color, and students from every nation? What role should Greek life organizations play on campus? What is Colgate’s connection to the Village of Hamilton, and how can we be good institutional neighbors? How should the curriculum balance interdisciplinary breadth with more specialized depth of knowledge? What residential arrangements enhance learning in the classroom? How much freedom should students have to explore relationships, sexuality, and social activities, and when should university officials intervene to assure the health and safety of those students? These are big questions. You new students thus step into this ongoing discussion, reflection, and debate. This tradition needs your voice and participation. To be sure, you bring questions of your own as you begin your college experience. Will the Colgate tradition stifle your own individuality? Will Colgate simply demand too much from you? Will you get any sleep? Will you make any friends? When you start to pose these questions—these very good questions—it is easy to get absorbed in yourself and the drama that the next few months and years could become. Part of our job as faculty members is to encourage you to view your own intellectual and personal development as integrally related to the world beyond you and beyond Colgate. We will remind you that this place set on a hill does not exist for its own sake, but it exists to equip you as educated and responsible citizens. Our task is to create what Harvard’s Ronald Heifetz has called a productive holding environment. We encourage you to challenge yourselves while seeking not to so disorient you that you cannot act. In other words, we will push you a great deal intellectually, but not more than you can handle. Indeed, nothing is more central to Colgate’s tradition than faculty challenging our students to learn. But the other key part of the story is our conviction that you students are builders of that tradition. From the students who worked hand in hand with faculty literally to lay the foundation of West Hall (and West Hall won the Konosioni Field Day today! ); to the activist students who, in the 1970s protested and saved, to the consternation of the administration, what was then called the Old Biology building and is now called Hascall Hall; to the current students who are working with the administration to create a healthy and safe social environment for women and men amid national and campus trends related to binge drinking and its very dangerous effects. If tradition were static, you who are new students would simply arrive on campus, be filled with facts and then armed with a diploma, and you would go back out into the world as credentialed but unthinking consumers of our educational product. That is not our goal. T. S. Eliot criticized this approach in his essay called “Tradition and the Individual Talent.” [I]f the only form of tradition, of handing down, consisted in following the ways of the immediate generation before us in a blind or timid adherence to its successes, ‘tradition’ should positively be discouraged. We have seen many such simple currents soon lost in the sand; and novelty is better than repetition. So we must not parrot the traditions of old. Yet we must have a sense of the tradition, of the history of this place, in order to flourish here. The economist and philosopher Amartya Sen helpfully names for us a medieval tradition between being a patient and being an agent. Patients are acted upon. They just sit there. Like a couch potato in front of the television. Like a student who slumps in the back row of class and is present bodily but not intellectually. Those are patients—wasting the opportunities to act and, instead, are acted upon. In contrast, agents are those who exercise their own capacities to shape their future and that of the world around them. They need no prompting or prodding to pursue ideas; they take professors up on their invitations to pursue independent research. By marching with your class up the hill, you have begun your role as an agent of your own education. Tradition cannot remain insular. The social realities of the wider world intrude into—indeed they must inform—our Colgate community. We can recite the numbers, numbers that are mind-numbing and nearly impossible to make sense of, even for those who study them. Seven billion people on the planet. One billion of those without safe drinking water. In terms of income, two-and-a-half billion human beings survive on less than two dollars a day. Can that figure even compute in our minds—an annual salary of about $700, already adjusted for purchasing power? Or consider the United States. A poverty rate of 15 percent, or more than one in every seven citizens. Locally, you drive five minutes down and away from this hill and find yourself in the home of rural impoverished families. What difference do these realities make to you, from whatever background you come? Should they help shape your education? Colgate’s tradition offers a strong “Yes!” to this question. Over two centuries, myriad graduates have sought to employ their Colgate education to transform the world. In the 19 th century, from 8 our first graduates, Colgate alumni became missionaries to Asia and around the world. Across the twentieth century Colgate graduates were leaders of industry, banking, and media fields, and devoted professionals in law, medicine, and the military. Today Colgate graduates are world-shapers in their participation in these areas and in the Peace Corps, education, sports and entertainment, and every field you are capable of imagining. But looking at alumni is to get ahead of ourselves. Tonight, I ask you to imagine yourself as a fully engaged agent in the Colgate community. For some of you, this may be an intimidating prospect, especially given all of the pomp and circumstance, and all of these professors who look particularly smart in their fancy robes! I am here tonight to declare to you that: whether you are white or black, Asian American or Native American, rich or poor, gay, straight, or none of the above; whether you are Jewish, Christian, Muslim, Hindu, spiritual but not religious, a seeker, an agnostic, or none of the above; whether you are male or female or transgendered; whether you are an athlete or an athletic supporter—or someone who has never seen a hockey puck; whether your great great great grandfather attended Colgate or you are the very first person in your family to go 9 to college: You have a place in Colgate’s tradition. You are agents—critical agents—in shaping its future. You belong at Colgate, and we need you at Colgate! T.S. Eliot stated that tradition is not something you inherit; instead, tradition is something you must earn with great labor. The Colgate tradition is worth all of the effort that you can muster in the coming four years. I am charging you to immerse yourself to extend both our arguments and our common work to move Colgate forward. To accomplish this, you must follow not your parent’s or guardian’s or roommate’s—or even your professor’s—plan for your education but, instead, pursue your own intellectual passions and commitments. Transfer students and members of the Class of 2016, you join an academic tradition nearly two centuries old. Now it’s your turn to shape it. We pass the torch to you.